The world was devastated when the Beatles split up. But don’t worry. Now you have a chance to put them back together, piece by piece! 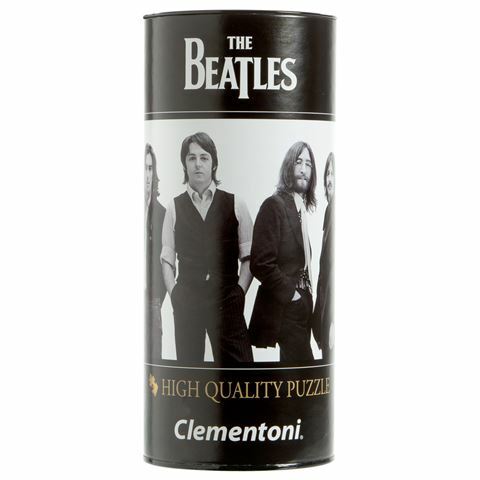 Fans of the Beatles won’t be able to resist Clementoni’s new collection of Beatles Jigsaw Puzzles. These puzzles bring to life all of the Fab Four’s greatest albums and most famous photos and will have you daydreaming about the sounds of the Sixties…even if you were born decades later! These Beatles puzzles are loads of fun. And when you're finished, you'll have an image that's worth framing and putting on the wall. Presented in a cool presentation tube.